With summer on its way, there’s plenty of time to test out the hottest mobile games on the market. On average, Americans now spend 23 minutes a day playing mobile games, creating an industry worth $50 billion and growing. Here are 10 of today’s top mobile games to keep you entertained this summer, from Pokémon Go to puzzle quests, sporting favorites and Harry Potter: Hogwarts Mystery. This magical mobile game will keep you going until the launch of Harry Potter: Wizards Unite, the hotly-awaited Augmented Reality game set for release later this year. Hogwarts Mystery allows you to create your own character, a Hogwarts student, and progress through seven years of school. Along the way, you’ll learn potion brewing, charms, transfiguration, flying and spells. Have fun choosing your house, making friends and dueling with enemies. You can also compete for the house cup and embark upon magical quests and adventures. Looking for a top mobile sports game? Alto’s Adventure is a snowboarding favorite from 2015 that allows you to race down slopes whilst avoiding obstacles and performing tricks, set against beautiful mountain backdrops. In the sequel, Alto’s Odyssey, mountains are replaced with amazing desert landscapes and there’s a new Zen mode which eliminates scoring for calm, relaxing gameplay. Alto’s Adventure is free on Android and costs $4.99 on iOS. Alto’s Odyssey costs $4.99 for iOS and is coming to Android later this year. Old Sins is the fourth edition of the popular 3D puzzle game series, The Room. In this beautifully-designed version, you search an eerie mansion attic belonging to a missing engineer and his wife and come across a creepy doll’s house. Follow clues and manipulate objects, solving one puzzle at a time to uncover the mystery of Waldegrave Manor. Available on Android, iOS and Amazon Kindle Fire for $4.99. 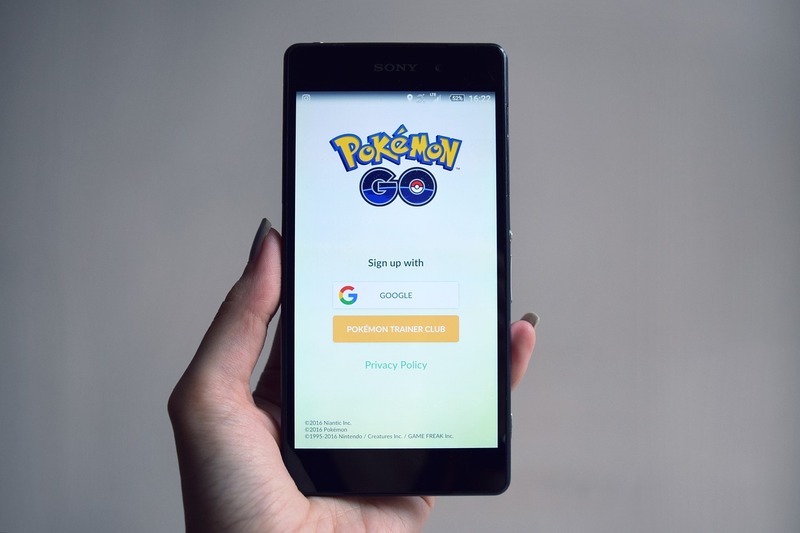 Augmented reality game Pokémon Go works using smartphone cameras and GPS to place Pokémon characters in real-world settings. The game is perfect for the summer, as you can get outside and search for characters to capture. Use your Pokémon to take over gyms, which are located at landmarks all over the world. Available on Android and iOS for free. Test your golf skills on innovative courses against players all over the world. The game features a top-notch shot system and has a live chat for players, who you can challenge to one-on-one games or play in tournaments. Golf Clash is one of 2018’s best android games, winning the Game of the Year award at both the Mobile Games Awards and International Gaming Awards. Adult gamers will love the Rivers Casino app, which offers a host of free games such as slots, blackjack, roulette and Texas hold ‘em poker. Favorites include Jungle Wild, Alice and the Mad Tea Party, Monopoly Luxury Diamonds and Double Jackpot. As you play, you’ll also get to interact with gamers from around the world. In this fantasy game, players are tasked with protecting their kingdom, Heiland, from dragons and monsters. Team up in multiplayer battles, choose from a host of weapons and armor and meet memorable characters such as Linton the baby dragon and Axel the fixer. Dragon Project has great 3D graphics, a one-finger play function and won both Pocket Gamer People’s Choice at the Mobile Games Awards and an Android Excellence Award. Trailer courtesy of PUBG Mobile. In this survival shooter, based on the original, highly successful PC version, you’re dropped onto an island with 99 other players to see if you can survive in an unknown battleground. Parachute in and search buildings for gear and loot, then go it alone or team up with a squad of up to four players to prove you can be the last person standing. If you’re looking for an addictive strategy game, Plague Inc. is ideal. Instead of saving humanity, you’re in charge of spreading an epidemic around the world, racing to kill everyone before a cure is developed. Tools include adding new plague symptoms, resistances and methods of communication. If your disease grows strong enough, it can even start to mutate on its own. Free on Android, $1 on iOS. Who doesn’t love the Nintendo classic, Super Mario? You can play this side-scrolling endless runner game with one hand, gathering coins and mastering mid-air spins, jumps and tricks. There are four modes to choose from: toad rally, world tour, remix 10 and kingdom builder. Which mobile games are you looking forward to playing this summer?